This past weekend was Cavaliers Sports & Social Club's two cricket teams, FIRE & ICE, were unbeaten in all four league matches played. On May 13, 2017, Cavaliers ICE defeated Stallions by 152 runs in their first 1st Division 50-over cricket match of the season, at Douglas Park. ICE won the toss and elected to bat. Captain Viru Chauhan* and TJ Singh both scored 62 runs, while rookie Vraj Shah scored an impressive 107 from only 70 balls! ICE scored 350/7 in 50.0 overs. In response to a decent total by Ice, Stallions only managed to score 198 runs. ICE pace bowler Chandan Parmar took 3 wickets, and spinner Noman Syed took 2 wickets. Following the ICE vs. Stallions match, Cavaliers FIRE took on Panthers in a one-sided T20 match at Douglas Park. Cavaliers FIRE defeated Panthers by 247 runs! A new record for our club. FIRE won the toss and elected to bat. Cavaliers junior star, Rushi Patel who usually plays for ICE opened the batting for FIRE and scored a whopping 132* from only 39 deliveries. Rushi was eventually asked, by his captain Richard Singh, to retire in order to "give his teammates a chance to bat", and probably to allow Panthers a fighting chance. 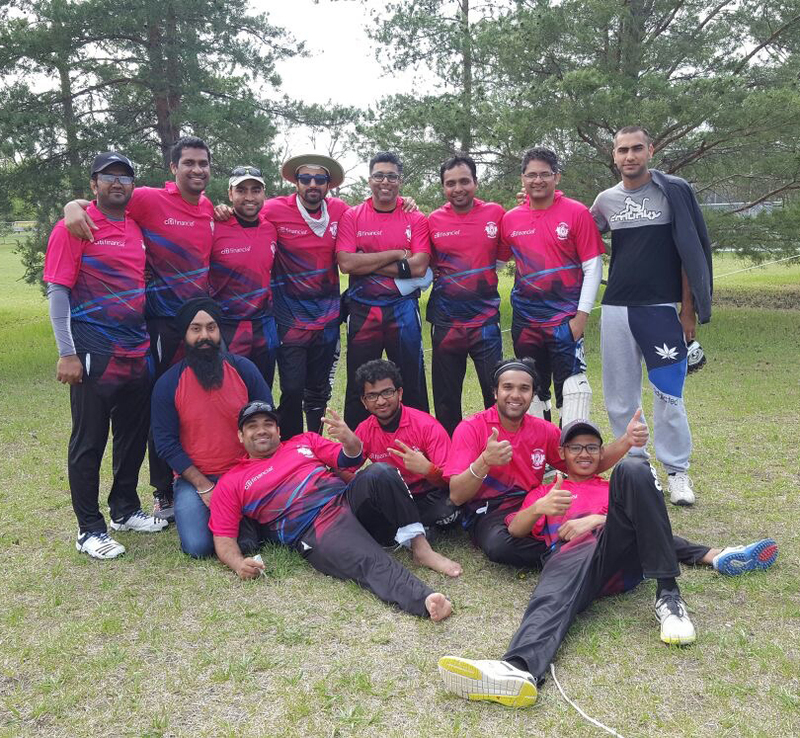 Fire's other opener Raman Jhita managed to score 56 runs and FIRE big-hitter Aman Deep Gill scored 51. Both Jhita and Gill only faced 28 deliveries. Honorable mention goes to Joe van Heerden who fell just 6 runs short of his fifty and took 2 wickets. Rajan Sagar took 3 wickets for Fire, giving away only 16 runs. Panthers only managed to score 67 runs. On Sunday, May 14, 2017, Cavaliers FIRE took on Sloggers in their first second-division 40 over (ODP) match of the season. It was a close match that ultimately came down to the last wicket in the last over. FIRE won the toss and elected to bat. Aman Deep Gill opened the batting with Raman Jhita, however, was not able to repeat his performance from the day before. Gill got bowled by J Khan for only 9 runs. Jhita batted sensibly and scored 27 from 40 deliveries. FIRE's batting collapsed and it was left upto #6 Mandeep Singh & #8 Joe van Heerden to carry the team to a defendable score. Both batted sensibly as well. Van Heerden who narrowly missed his fifty the day before scored 68* and Singh scored 39 from 56 deliveries. Thanks to #11 Richard Singh managed to keep his wicket, FIRE batted out their 40 overs and scored 249/9. Sloggers gave it a good go and managed to score only 239/9 in 40.0 overs. Mandeep Singh also performed with the ball for FIRE. He bowled 8 overs and took 4 wickets for only 32 runs. In the end Cavaliers FIRE beat Sloggers by 10 runs. 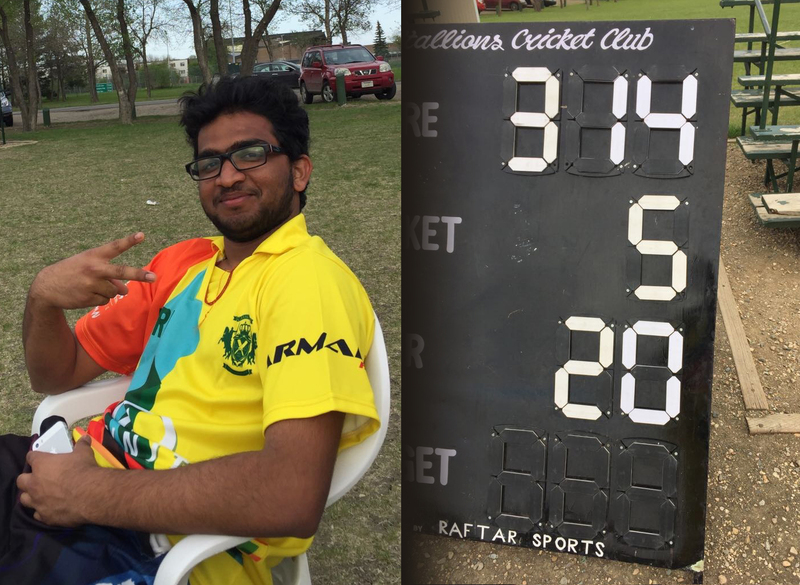 Following the FIRE ODP victory, ICE took on the explosive Regina Rangers in a T20 match at Douglas Park. ICE won the toss and elected to bat, and then went on to scored 275/7 in 20.0 overs. Opening the batting for ICE, Dhaval Patel & Noman Syed both scored the thirties. Patel scored his 34 from only 17 deliveries. Viru Chauhan found a good groove and scored a long-awaited ton. Rushi Patel, ended his weekend with yet another good performance with the bat, scoring a cool 51 from 23 deliveries. Rangers chase fell flat and the team only managed to score 172/9 in 20.0 overs. Cavalier's veteran allrounder TJ Singh took 4 wickets for only 21 runs. It appears despite the first match loss suffered by Fire, Cavaliers SCC as a whole is off to a great start. The decision three years ago to build two strong teams, instead of a strong first team and a weaker second team is starting to really pay off. Both Cavs teams are balanced with talent and experience, and no longer rely on one or two star-players. More importantly, morale is high and players seem to be happy with the teams they are on this year.